This article is a step by step breakdown on how to set up reservation agents for pickup and dropoff. Firstly, navigate to Settings > Car Rental category > Car Rental > Reservation Driver (Pickup) section. 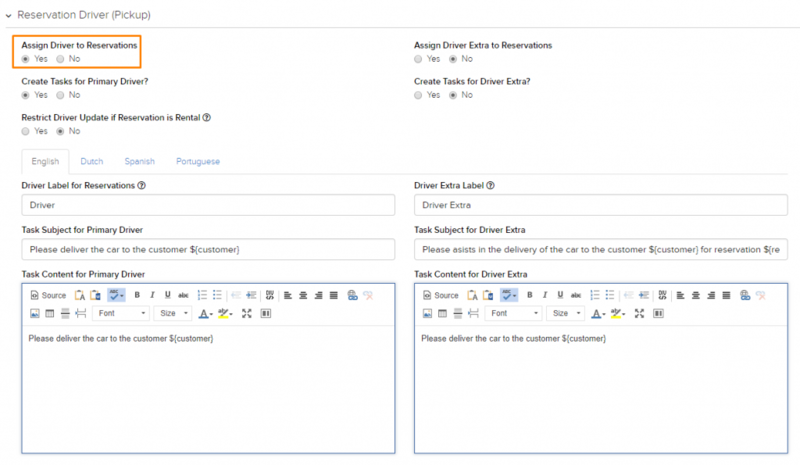 Next, select “Yes” under Assign Drivers to Reservations as shown in the picture below. Here is also where you can edit the task details for the reservation agents. Once you have done so, navigate back to your reservations. Here, on the top right of the page, click on the “Hamburger” icon that will open a side menu. On this side menu, click on the columns tab as seen in the picture below highlighted in orange. Under columns, make sure that the Road Agent option is selected as seen in the picture below highlighted in orange. Once you have click on Road Agent and highlighted it in light blue, a new column will appear as shown highlighted in orange in the picture below. Click on the blue “Assign +” button. After that, a window will pop up which you can select your staff to be assigned as a reservation agent. 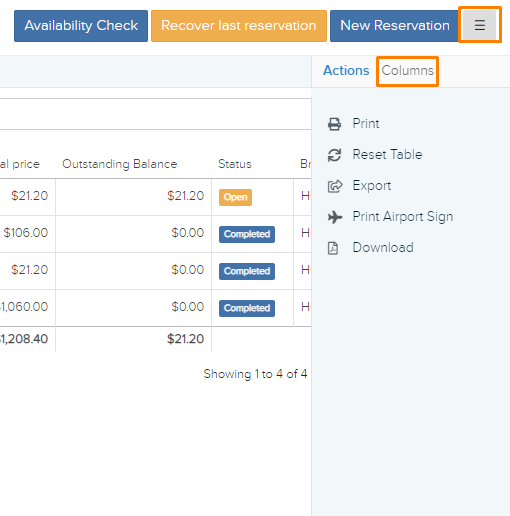 Click on the blue “Save” button as shown in the picture below highlighted in orange to assign to the reservation. Do note that your staff would already have to be in the system for them to appear on the list above. To learn how to add a new user, follow this link here. Firstly, navigate to Settings > Car Rental category > Car Rental > Reservation Driver (Return) section. 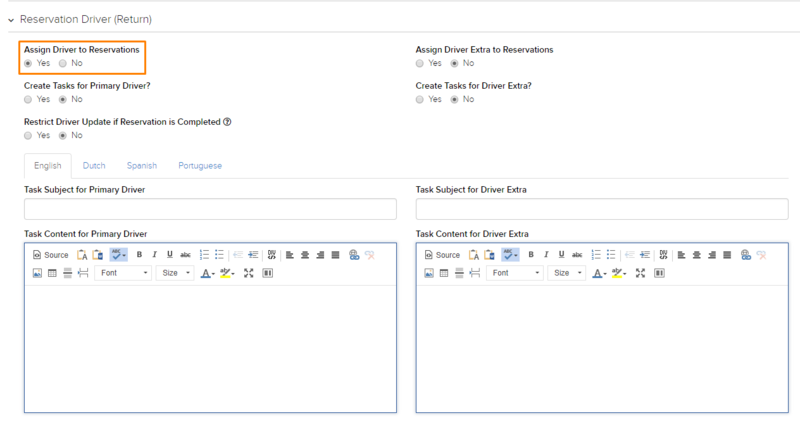 Next, select “Yes” under Assign Drivers to Reservations as shown in the picture below. Under columns, make sure that the Return Driver option is selected as seen in the picture below highlighted in orange. Once you have click on Return Driver and highlighted it in light blue, a new column will appear as shown highlighted in orange in the picture below.